With the summer gone and winter on our doorstep I thought it might be appropriate to discuss a medical condition that comes with the change of seasons. As the wintery months approach the change of seasons can bring along the grim possibility of infection from bacteria and viruses. The worst culprit is catching a cold or flu and neither of them is any fun. In this article I would like to discuss the symptom most common with a cold-the cough. Coughing distracts you from your work, spreads germs, and puts stress on your body. Since coughing is caused by various conditions, many patients simply opt to ride it out and not seek treatment. When it comes to coughing, however, there is no reason to suffer. 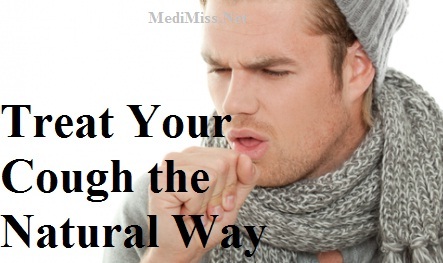 There are many natural, effective remedies that can alleviate coughing or speed your recovery. Coughing isn't always a bad thing. In fact, it can be highly beneficial. Coughing may be your body's natural defense mechanism against infection. Fortunately, it is easy to figure out whether your cough is beneficial or not. If your chest is congested, coughing is your body's way of fighting respiratory disease by purging the mucous or phlegm from your chest. Your cough will likely persist until your infection goes away. Signs of respiratory infection include wheezing and a temperature over 101 degrees. In most cases, you should see your doctor to treat the infection. In the meantime, natural remedies can soothe irritation and help you recover more quickly. If no mucous is present, you have a dry cough. This type of cough is likely due to allergies or asthma and serves no beneficial purpose to your body. Exposure to irritants like dust, mold, pets, grass, pollen or chemicals are probably to blame for your cough. Sometimes the cough is an indication of mild asthma. If you have a persistent cough and cannot determine a specific irritant, your doctor may be able to help with proper diagnosis. Many natural and folk remedies exist for coughing. One of the first treatments people turn to are herbs. For congestion, the herb horehound acts as a natural expectorant, helping to alleviate congestion. You may find it in tea bags at natural foods stores. Other herbs suppress the cough reflex by encouraging saliva production, causing you to swallow less frequently. Commercial cough drops often contain the oils from these herbs. They include peppermint, eucalyptus, anise and fennel. Try taking them as teas. Slippery elm, found as a tea or lozenge, discourages the cough reflex in another manner--by forming a protective layer around the mucous membranes of the throat. An easy steam treatment is also a good way to not only soothe the throat, but loosen chest congestion. Bring a large pot of water to a boil, then remove it from the heat. Hold your face over the steaming water and cover your head with a towel to trap the moisture. Inhale for as long as 30 minutes. Acupressure can relive tension in the chest caused by coughing. Homeopathy is another alternative treatment that many patients turn to. To try these methods, find a practitioner in your area. Some easy to find natural products can also soothe coughing. Aloe vera juice mixed with equal parts honey can soothe a dry cough. Apple cider vinegar is an excellent way to manage that "tickling" feeling that is so often present in the throat when you suffer from a cough. Add about 2 teaspoons to a glass of water and sip as needed. Minced garlic marinated overnight in honey also soothes coughs. Garlic is known to be high in powerful antioxidants. These remedies and many variations on them have been used for generations to fight coughs. No matter which one you choose, take note of its effect on your symptoms until you find the right combination of natural treatments that work for you. If you suspect an infection, see your doctor. If your cough persists, a medical opinion may be needed. With proper natural care, you will be back to feeling healthy in no time.